This month’s featured manufacturer is a worldwide leader in the production of professional quality aerosol and bulk lubricants, fuel additives and brake parts cleaners. CRC Industries’ innovative research and development team continually develops new and improved specialty chemicals which is why Ryder Fleet Products is one of the leading distributors of their cutting edge products. CRC Industries leading products include fuel additives, brake cleaner, lithium grease, and silicon lubricant. These products are sure to meet the needs of any maintenance and repair application. CRC Industries also has products available for other industries aside from automotive, including aviation and electrical. 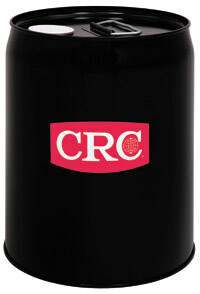 CRC was founded in 1958 as Corrosion Reaction Consultants with a single product. Today the company’s products are sold throughout the US, Europe, South America and the Pacific Rim. CRC operates 12 facilities that produce more than 70 million cans of aerosol products each year. CRC Industries provides a wealth of information on their website . Whether you need help with lubricants and penetrants that your shop can’t do without or some cooling system maintenance tips, just like Ryder Fleet Products, CRC Industries gives helpful industry tips for logistics experts. Ensure cost-effective operations by improving productivity, reducing waste and providing a workplace free of recognized hazards. Click here to see all of the CRC Industries products that Ryder Fleet Products carries.